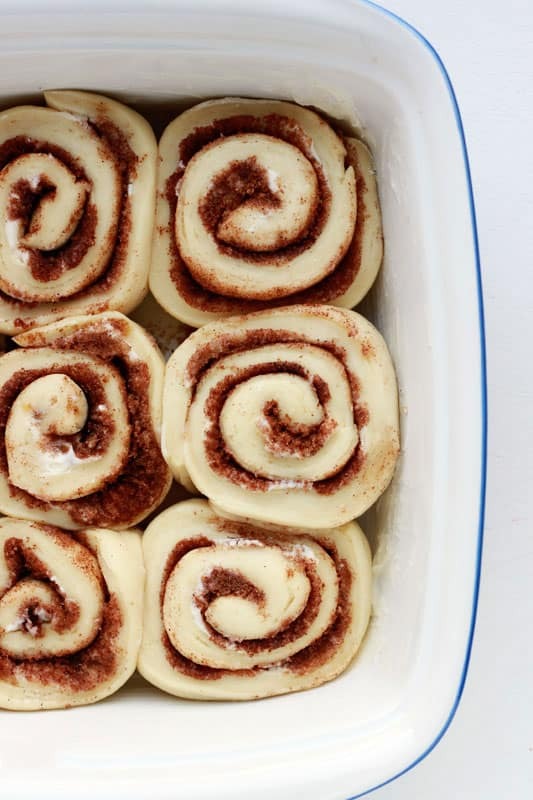 Overnight Cinnamon Rolls. 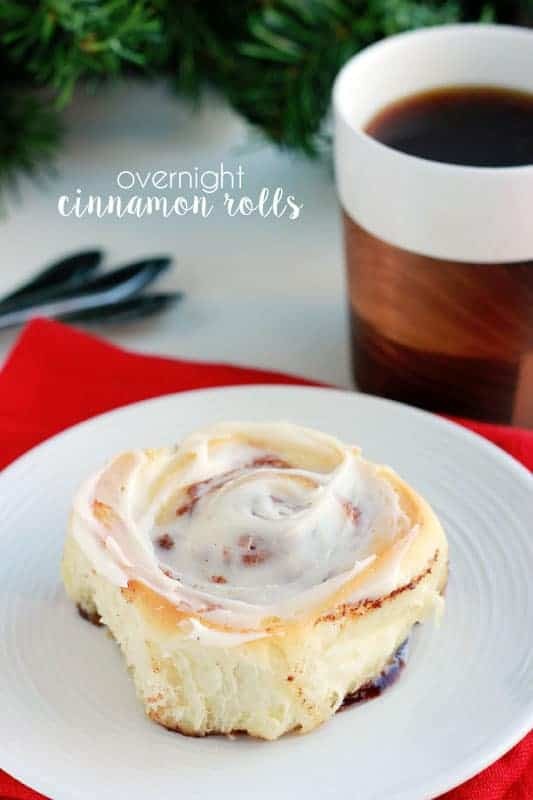 Prepping you cinnamon rolls the night before saves time when you are ready to serve! This family favorite recipe is the perfect way to add a little sweet to your breakfast menu. Kid: Let’s make cinnamon rolls!! That is my reply almost every time he requests these sweet little buns. The one thing I have always struggled with is the time it takes to make this treat. Making the dough, letting it rise, waiting… It can add up. Doing a little prep the night before makes this the ideal recipe for impatient people like me. The hardest part really is remembering to take them out of the refrigerator. You want to make sure they get to room temp before you bake. Like this recipe? You will love my Pumpkin Cinnamon Rolls, Cinnamon Roll Waffles, and Cinnamon Honey Butter! Sprinkle your yeast over your water in a small bowl. Set aside and allow to sit for at least 5 minutes. 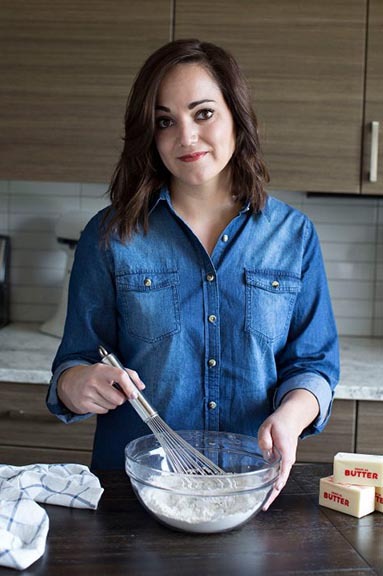 Combine the milk, sugar, butter, salt, and egg in the bowl of an electric mixer. Stir to combine. Add 2 cups of flour and stir until fully incorporated. Stir in the yeast mixture. Add the remaining flour and knead 5-10 minutes or until smooth. Transfer your dough to a greased bowl. Cover with a clean towel and allow to rise until doubled in size (1-2 hours). Turn your dough out onto a lightly floured surface. Roll into a 15x9 inch rectangle. Spread 1/2 cup soft butter across the dough. Whisk together the brown sugar, salt, and cinnamon. Sprinkle over your butter. Roll, starting on the long end, to form a large log. Cut into 15 pieces. Place your rolls into a lightly greased 9x13 pan. Cover with plastic wrap and place in the refrigerator overnight. In the morning place the cinnamon rolls in the oven without turning it on. Let them come to room temperature and slightly rise for 45 minutes to 1 hour. Remove from the oven and preheat to 350 degrees. Bake 25 minutes or until slightly browned. Whisk together the frosting ingredients and spread over the top. Serve along side your favorite breakfast recipes. Love this post! 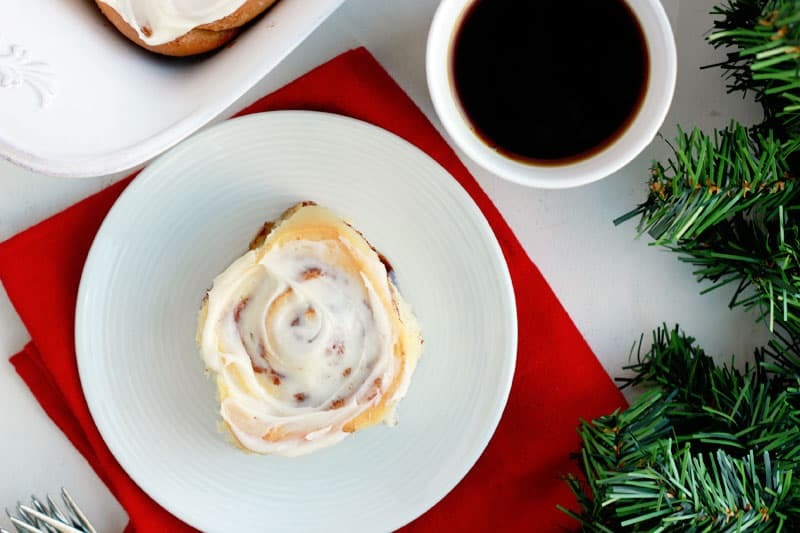 Definitely making your cinnamon rolls for Christmas brunch. And we will be making your brioche bake! So yummy! It’s possible I have an extra set if you’re interested in a little neighbor gift. I could use another taste of cinnamons rolls this morning. I was just thinking that your french toast stole the show! So beautiful and that vanilla bean whipped cream was like icing on the cake. LOVED these! And the fact that all the work is done the night before making Christmas morning less stressful? Yes please!